Property 20: Location, location location! 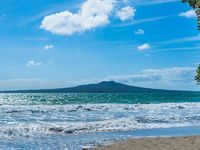 The apartment is is in an awesome location and is literally acouple of minutes from the beach and restaurants, with stunning views over to Rangitoto. It&rsquo;s very well equipped, open, light, spacious and extremely comfortable. We travel to New Zealand every year and will definitely be staying at Sky Blue again. Takapuna has it all. You couldn&rsquo;t find a better place to stay within 20 minutes of the city! !